The Airbus A400M has dispensed a total of 11.4 tonnes of fuel using both the underwing pods and the centre hose refuelling unit. 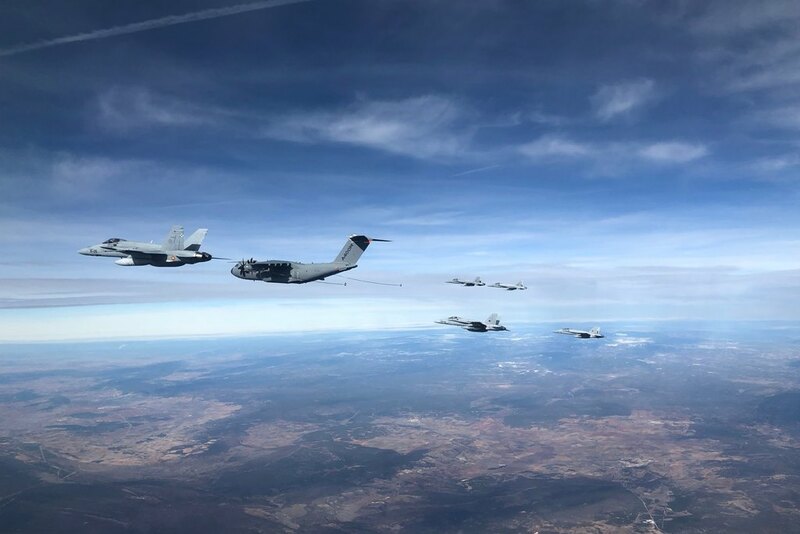 An Airbus A400M has successfully refuelled six Spanish Air Force F-18 fighters in a single mission as part of an air-to-air refuelling (AAR) human factors certification flight. The 13 December mission featured a complex series of AAR scenarios such as changes of area, receivers with unknown priorities, and unexpected increases in numbers of receivers. Through multiple contacts the six aircraft simulated a fleet of eight. The F-18s included the first Spanish operational fighters to be refuelled by the A400M and belonged to the Spanish Air Force Test Centre (CLAEX) and the 12th Operational Wing based at Torrejón. A total of 11.4 tonnes of fuel was dispensed using both the underwing pods and the centre hose refuelling unit. 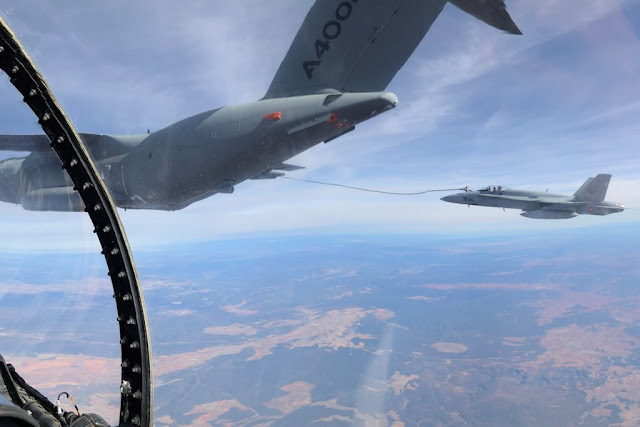 Certification authorities on board confirmed good results and the flight validated the A400M two-crew cockpit concept for tanker missions.